Medicare billing is a complex and specialized field. 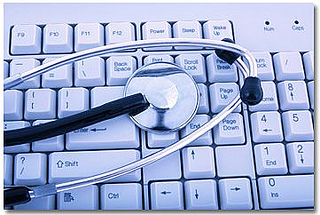 Translating patient care into billing codes takes knowledge and skill. While most providers and coders work hard to make sure billing codes accurately reflect the care provided, others use the system to divert money from government coffers into their own pockets. Fraudulent Medicare coding takes a number of forms. Catching those involved in these scams often takes inside knowledge. Attorney Greg Brod partners with honest insiders who’ve observed modifier fraud and, as a skilled Medicare fraud attorney, he partners with these individuals, protecting their interests while fighting back and working to return taxpayer money to already strained health care programs. The Most Common Forms of Coding and Billing Fraud Beckers ASC, an information source for the healthcare industry with a focus on outpatient surgery, provides a useful page titled “5 Common Fraudulent Coding, Billing Schemes.” The report discusses the following types of fraudulent billing/coding scams: 1) Upcoding – billing for a more complex procedure than was actually preformed (listed as the most common coding fraud); 2) Unbundling – separately billing for items that should be included in a bundled package; 3) Kitchen sink coding – including codes beyond those tied to confirmed diagnoses (notably can hurt patients by making their records include preexisting conditions they don’t actually have); 4) Inconsistent coding – changing a listed diagnosis without actual symptom changes, often done just prior to surgery; 5) Inflated charges – inflating charges, particularly when bills are not first sent to an insurance provider, often in personal injury/accident-related care. A Dual Commitment: Protecting the System, Protecting the Whistleblower It is simply impossible for Medicare to closely review every patient bill, a fact scammers use to their advantage. This, along with the complexity of the coding system, also means it is often only company insiders who are aware that fraud is being committed. We understand that this is a difficult and even scary situation, leaving honest workers from top executives to data-entry specialists feeling torn between reporting and fear for their job and their family’s economic well-being. We are here to help. Our Medicare coding fraud attorney will consult with you and explain how the law protects whistleblowers and even compensates them for their role in successful prosecutions. As a whistleblowers’ law firm, we promise to keep your unique, individual concerns in mind throughout the process and we will always be available to discuss your worries. As partners in the process, we will fight fraud together, protecting the health care system broadly (including, of course, you and your loved ones as patients/health care consumers) and your specific individual interests. Take the first step and call today. As an added note, our firm is based out of California and has close ties to the Miami area. We can, however, assist coding fraud whistleblowers anyplace in the nation.